It’s exclusive to BlizzCon and the Blizzard Gear store. A second Mercy Nendoroid toy will be released by Blizzard and toy maker Good Smile Company. 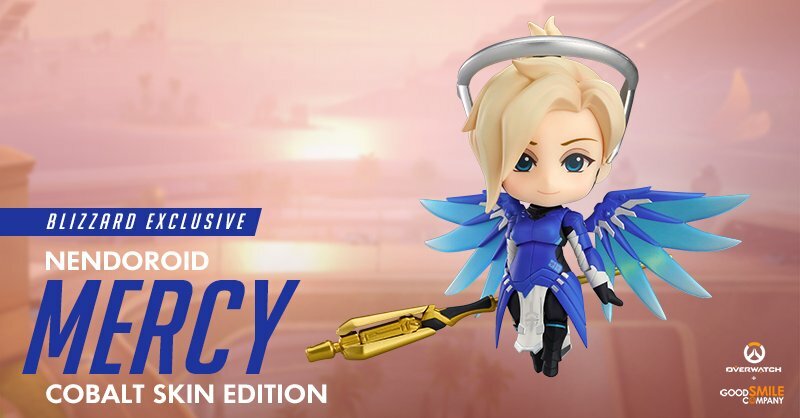 The Mercy Nendoroid doesn’t look too different than the original variant, which was first revealed in July 2017. Naturally, the colors of the skin have changed, but that’s it. Good Smile Company didn’t post many details, but it’s expected that the new toy will come with extra faces, movable wings, and her healing staff and pistol. The healing and power beams attach to other Overwatch Nendoroids to create interactive scenes. The four-inch figure originally cost $50, but a price isn’t listed yet for the skin variant. Given the similarities between the two Mercy figures, the price shouldn’t go up by too much—or at all. Last week, Good Smile Company and Blizzard revealed another Nendoroid figure. A tiny Torbjörn toy is up for pre-order now. Like the rest of the toys in the Nendoroid line, Torbjörn comes with accessories: a turret, a mask, and flames. Torbjörn costs a bit more than the typical Nendoroid, priced at $60.